Newport Beach, California (January 5, 2016) – Legendary automobile designer Henrik Fisker has filed a $100 million lawsuit against automaker Aston Martin for civil extortion related to Aston Martin’s threats regarding the introduction of Fisker’s “Force 1” at the acclaimed Detroit Auto Show later this month. The suit was filed in U.S. Federal Court, Central District of California, by Fisker’s legal counsel, Jonathan A. Michaels of MLG Automotive Law, an acclaimed attorney specializing in automobile law. The suit follows a threatening letter from Aston Martin to Fisker sent in late December demanding that he not launch the Force 1 at the Detroit Auto Show, or that he first make changes to his design before its launch. The suit details Fisker’s past involvement with the company, including his design of their most successful cars, the Aston Martin V8 Vantage and the Aston Martin DB9, and highlights the severe financial and product deficiencies Aston Martin has experienced over the last five years. 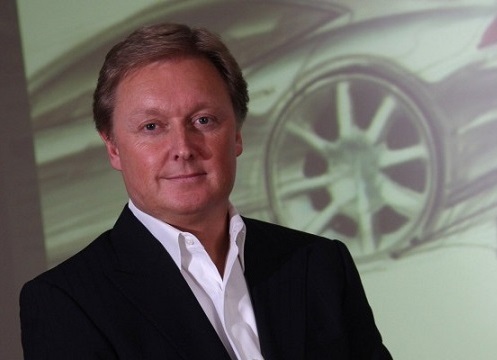 Fisker is one of the world’s best known and most respected automobile designers. He has worked in design for many auto manufacturers previous to launching Fisker Automotive in 2007, and Henrik Fisker Design—his present company. Among his most notable designs, in addition to the Aston Martin’s mentioned, are the Fisker Karma, the BMW Z8 and the Rocket. Located in Newport Beach, California, MLG Automotive Law is a full service business law firm, focusing on the automotive industry. MLG Automotive Law has litigated cases against nearly every major manufacturer, and is counsel on the GM ignition switch class action and the Volkswagen emissions class action. MLG Automotive Law also represents several terminated Chrysler dealers against the U.S. for the 2009 taking of their dealerships, in violation of the Fifth Amendment. Follow MLG Automotive Law on Facebook, LinkedIn and Twitter. Jonathan Michaels and MLG Automotive Law may be reached at (949) 581-6900 or by email at jmichaels@mlgautomotivelaw.com.